From tiredness and headaches, to feeling generally run down or crazily sparky – electrically charged – eclipses can be felt before, during and after, with increased sensitivity at this time. Consider the past few weeks and anticipate reprecussions in the weeks ahead, too. Time To Up Your Self-Care! I wanted to give you the low-down, and ideas to help you up your self-love regime during the eclipse – both the Lunar Eclipse and Solar Eclipse. Remember, we have several eclipses in a year and this is all part of a much bigger process. You can check in with your horoscope here. On the LUNAR Eclipse we could be inclined to change our inner identity in major ways – if this means doing drastic and irreversible things to the way you look be sure you’ve thought about the consequences! You might be following your bliss but consider repercussions. During the SOLAR eclipse our identity will be affected on a more conscious level. We’ll see things happening in the real world: real world changes, with actual manifestations playing out for people in real life. Keep your eyes peeled for people enjoying success and opportunities, or making sweeping changes! They’re people embodying the Eclipse Energy. 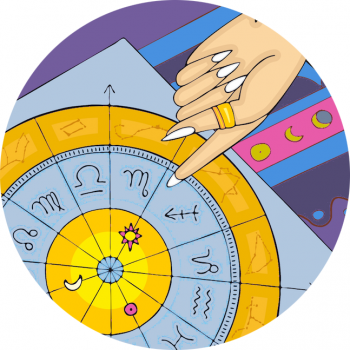 Sensitivity to electronic devices – and note Mercury Retrogrades! If you have a tub – dive in! Indulge in a good soak and let tension slip away. Water is connected to the moon and a bath is an incredible way to mark major moon moments. Rub yourself and others during this highly stressful time or book in for a massage. This is totally one for me to take on board, right now. My neck is carrying an insane level of tension and I’m doing everything I can to release the knots (co-ercing bf and stretching). Remember to get enough shut eye Stargazer. This is an important one, sleep is essential! And, it’s a scientific FACT it’s harder to rest during the peak of the lunar cycle – the full moon. Read all about the proven effects of the moon, here. How often we beat ourselves up for our lack of productivity yet sometimes it’s essentially to recharge and give ourselves enough time in the land of nod! Remember walking meditation is an excellent form of refocusing your mind, and time in nature taking it step by step is a beautiful way to ground yourself during Eclipse Season. Gentle movement will feel so grounding and connecting – stretch with yoga. Dance around your room. Don’t forget to BREATH and STOP, use that pause, you’ve earned it. Drink LOTS of water and flush out your system. Full and new moons are amazing for detoxing and taking stock of your body, as we’re so much more tuned in to our physical selves. Read about fasting with the lunar cycles here. My eyes are so sore right now – too much time on my phone and computer! I’m super sensitive to electricity. As a kid I got major headaches – all because my bed was positioned over the refrigerator and microwave in the kitchen! My bedroom was directly above them both, and my parents had to have a reshuffle after speaking to an amazing reflexologist. But I’ll be consciously stopping – or at least backing off – during eclipse season. Seize Your Power Too Stargazer! Blessings for the eclipses my sweets!